The reduction or elimination of discards is an ecological, socio-economic and ethical priority, and one of the core elements of the Common Fisheries Policy. As of 1 January 2019, EU fisheries are transitioning to a ban on discarding regulated species with the entry into force of the landing obligation. The discard ban aims to minimize the wasteful practice of discarding portions of the catch that are caught as by-catch of fisheries but cannot be commercialized. The obligation to land all portions of the catch of regulated species should incentivize fishers to adopt more selective fishing methods and lead to more accurate estimates of fishery removals (total catches). The landing obligation is an important step towards more selective and sustainable fisheries, although it faces major challenges in implementation, control and monitoring. 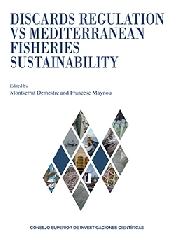 Also, due to the poor status of Mediterranean fisheries and their fisheries management regime, the challenges faced are different from those in Atlantic EU fisheries. The European project MINOUW (March 2015 – February 2019) approached the problem of mitigating the impacts of the landing obligation through a strategy of involving the fishing sector in devising potential solutions and testing them in commercial conditions. The impact of these solutions on the biology of the target stocks and the economy of the fishing fleets was also investigated. The results of this research served to provide policy recommendations to local, national and European policy makers. This volume compiles representative results of the scientific studies carried out in the context of the project as well as some relevant external contributions.